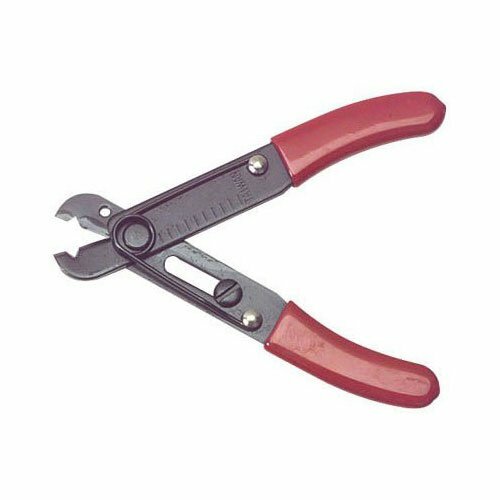 Adjustable wire stripper and cutter. Insulated, dipped rubber handles. Net weight: 1/2 lb.